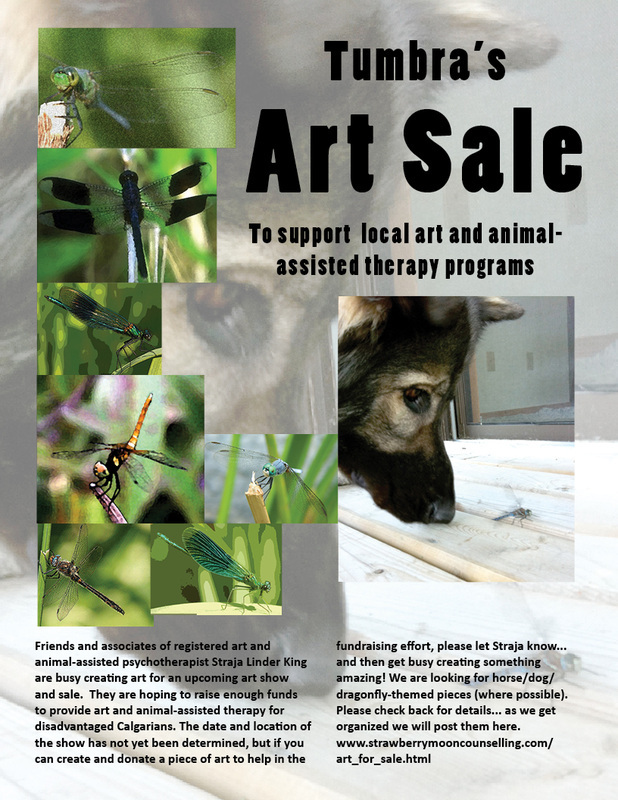 Friends and associates of registered art and animal-assisted psychotherapist Straja Linder King are busy creating art for an upcoming art show and sale. They are hoping to raise enough funds to provide art and animal-assisted therapy for disadvantaged Calgarians. The date and location of the show has not yet been determined, but if you can create and donate a piece of art to help in the fundraising effort, please let Straja know... and then get busy creating something amazing! We are looking for horse/dog/dragonfly-themed pieces (where possible). Please check back for details... as we get organized we will post them here.